On Thursday of last week I became the fearful, fretful owner of a fifteen year old. 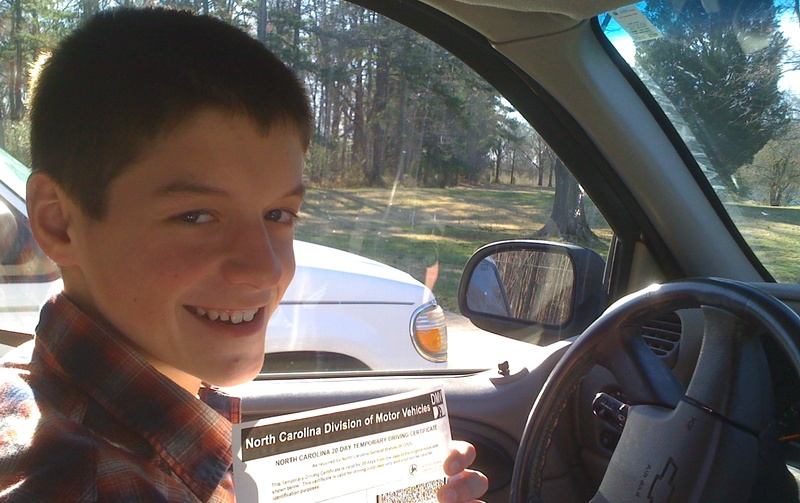 And yesterday I became the more fearful, more fretful owner of a fifteen year old with a permit to drive. That’s right. Merriem and I have entered the world of teenage drivers. Oh sure, Jacob is still living under plenty of restrictions: he can only drive with one of us in the front seat. He can only drive during certain hours of the day. And no matter what happens, he can’t feed them after midnight. At 3:30 PM yesterday, Jacob walked into the DMV as a boy. He walked out as a…well, still as a boy, but a boy with a piece of paper and a taste of independence. Side note here: Dads, you should practice the key toss. You know the one I’m talking about: The “We-Just-Walked-Out-Of-The-DMV, I’m-The-Casual-And-Cool-Dad, and Here-You-Go-Son-You-Drive-Us-Home-Because-I-Have-Confidence-You-Won’t-Kill-Us-Today” key toss. I had one chance to get it right, and by golly it was a Kodak moment. I threw well, he caught well, and it’ll remain etched in my memory forever. See what I mean? Nitpicky. But for all of the annoyances, I’ve realized I’m being watched more than ever. I pay more attention to my speed. I pay more attention to the rules of the road. I pay more attention to the kid in the passenger seat who will soon be the man behind the wheel. And I’ve realized that what is being watched goes well beyond my driving. I have three sons, all of whom have been watching me for anywhere from eight to fifteen years. Watching. Observing. Imitating. Rejecting. Noticing. Embracing. Questioning. They’re watching the shows I have on the tube. They’re watching how I treat their mom. They’re watching the time I spend with Jesus. They’re watching to see if my on-stage life matches my off-stage life. And just like the guy behind the wheel, I realize my responsibility has never been greater. The stakes have never been higher. It’s the same for us all. You may not be a dad, but there are people watching you: watching how you respond to stress at work…how you demonstrate character when tested…how you talk to your waitress when your order is wrong. And like me, the stakes have never been higher. The kingdom has never been under such scrutiny. And the potential cost is too much to ignore. Aaahhh, yes. the First Driver. MIne soon hit a mailbox–allegedly while slapping at a biting bug.